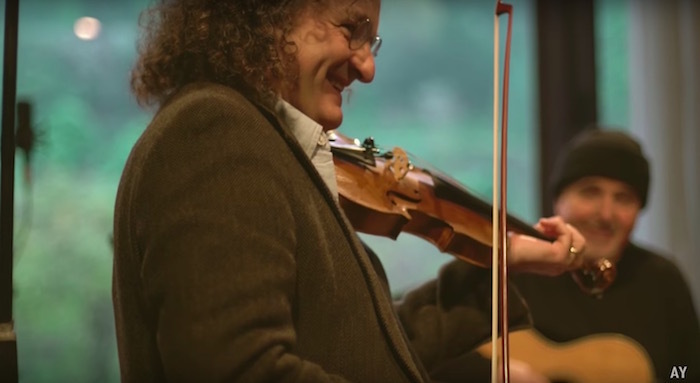 Martin Hayes is arguably one of the greatest fiddlers to come out of Ireland in the past 100 years. His soulful, moody interpretation of well-known Irish traditional music is unlike anything else out there. It's slow moving, slow to build, and beautiful in a way all its own. I've mentioned his primary band, The Gloaming, here in the past. But he's also got another group going on the side: The Martin Hayes Quartet. At first listen, their music sounds like more of the same (which is a wonderful thing!). But take the time to plumb its depths and the personality of the musicians playing, the voice of the instruments, and the choice of tunes will make you understand that, while it may seem like you're trekking familiar country, the ground beneath your feet is a very different territory than where you've walked before. This video of the making of the quartet's first album, The Blue Room, is as beautiful as the band's music is calming. I've watched and listened to it many times since I first found it.